MAC ATTACK--Make art count--Friday, April 14 - It is time for MAC ATTACK! 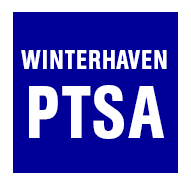 All Winterhaven students will be participating in a fundraiser to help support our school. Your child has received their Mac Attack sponsor sheet. They can begin collecting pledges immediately. There are additional copies if another one is needed. 1.) A parent signature is required in order for your child to participate. See front of form. 2.) Please fill in a T-shirt size for your child as well. Your children may earn a T-shirt. The students must earn a total of 30 points. 2 points for each paid sponsor and 1 point for each lap completed. There will be other participant awards, grand prize winner awards, as well as class awards. 3.) Sponsors can be collected immediately. Your child should ask for sponsorships only from family, friends and neighbors with whom they are familiar. Do not permit your child to sponsor another child. 4.) Important deadline #1--Tuesday, April 11. All sponsor sheets must be turned into their classroom teacher in order to participate.